• Entry to the contest and acceptance of terms and conditions includes opt-in to future communications from Casio Electronics Co Ltd.
• No promoter responsibility can be accepted for entries not received under any circumstance. • The competition is open to residents of the United Kingdom only. • Employees of Casio Electronics Co. Ltd and their close relatives and anyone otherwise connected with the organisation are excluded from entering. • Closing date for entry will be 17:00 GMT on 26/04/2018. After this date no further entries will be permitted. • Casio Electronics Co. Limited reserves the right to cancel or amend the competition and these terms and conditions without notice. Any changes to the competition will be notified to entrants as soon as possible. • Casio Electronics Co Limited is not responsible for inaccurate prize details supplied to any entrant by any third party connected with this competition. 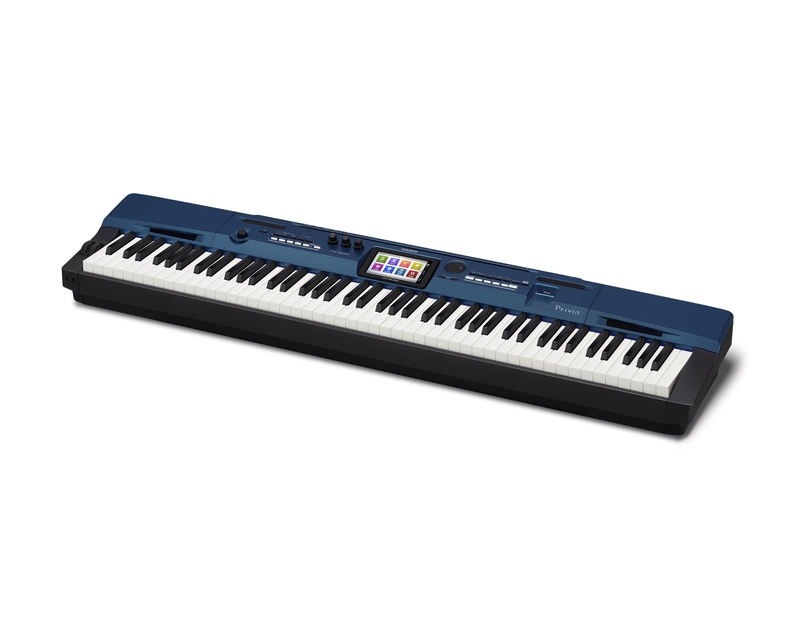 • The prize is as follows: x1 Casio PX-560 keyboard. • The prize is as stated and no cash or other alternatives will be offered. The prize is not transferable, refundable or exchangeable. The prize is subject to availability and we reserve the right to substitute any prize with another of equivalent value without giving notice. • Winner will be chosen at random by software, from all entries received and verified by direct contact via email or phone. • The winner will be notified by email and/or DM on Twitter/Facebook and/or letter within 28 days of the closing date. If the winner cannot be contacted or does not claim the prize within 14 days of notification, we reserve the right to withdraw the prize from the winner and pick a replacement winner. • The promoter will notify the winner on how to arrange delivery of the prize. • The winner agrees to the use of his/her name and image in any publicity material, as well as their entry. Any personal data relating to the winner or any other entrants will be used solely in accordance with current [UK] data protection legislation and will not be disclosed to a third party without the entrant’s prior consent. • This promotion is in no way sponsored, endorsed or administered by, or associated with, Facebook, Twitter or any other Social Network. You are providing your information to Casio Electronics Co. Limited and Clash Magazine only and not to any third parties.